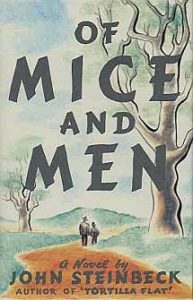 Seventy years after its publication John Steinbeck’s “Of Mice and Men” continues to stimulate debate, pro and con, about the death penalty. But justifying capital punishment was the last thing on the mind of the author, a liberal thinker who created the character of Lennie to increase our understanding of the mentally challenged and the American underclass. As a defense attorney who admires “Of Mice and Men” for this very reason, I’m angry that Texas Court of Criminal Appeals Judge Cathy Cochran used Lennie in a 2004 legal opinion about imposing the death penalty when mental capacity is at issue. The “Lennie standard” she proposed continues to have consequences in the courts, and in the lives of the condemned. In 2002 the Supreme Court outlawed the death penalty for the intellectually disabled, but left it to the states to define what constitutes intellectual disability. Since 2004 courts in Texas have used Judge Cochran’s ill-considered Lennie standard to determine intellectual disability in capital punishment cases. Arguing before the Supreme Court last month in Moore v. Texas, the solicitor general of Texas, Scott Keller, bristled when Justice Sonya Sotomayor asked him about the state’s use of the Lennie standard, an illogical jumble concocted from a sentimental—and incorrect—interpretation of John Steinbeck’s character. Questions about Judge Cochran’s odd “Of Mice and Men” citation—and the quirkiness of a judge relying on a work of literary fiction to support a legal opinion—had been predicted long before oral argument before the Supreme Court began. M. Todd Henderson, a University of Chicago law professor, pointed out the nature of the incongruity in 2008. “Citations to literature are extraordinarily rare in federal appellate court opinions, appearing in only 1 out of every 10,000 federal appellate cases,” he wrote. 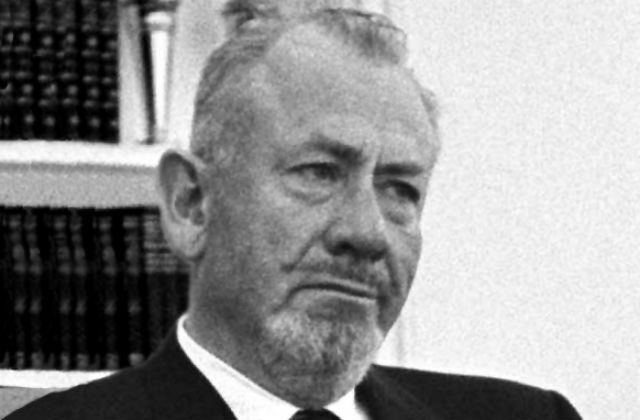 When judges do cite fictional works in judicial opinions, he continued, “they are most likely to cite to novels for propositions that are closely related to their own work and job.” That’s why it’s baffling that Judge Cochran was reportedly “unfazed” when she learned of Thom Steinbeck’s outrage over her violation of his father’s purpose in writing Of Mice and Men. John Steinbeck wrote much of “Of Mice and Men” at the Steinbeck family cottage in Pacific Grove. Ironically, Judge Cochran is said to have reread “all of Steinbeck” while living in nearby Monterey, three decades later, in the 1960s. Recently my wife and I traveled to the National Steinbeck Center in neighboring Salinas to celebrate our 15th wedding anniversary. Driving through John Steinbeck’s beloved Salinas Valley, we saw the still poor, still struggling migrant workers toiling under the California sun, like Lennie and George, for subsistence pay. That evening we left our comfortable bed and breakfast to stroll hand-in-hand along the shore celebrated by Steinbeck in “Sea of Cortez” and “Cannery Row.” Nowhere, not even in the turbulent tide pools that Steinbeck explored with his wife Carol, did we perceive the death penalty. Stephen Cooper is a former D.C. public defender who worked as an assistant federal public defender in Alabama between 2012 and 2015. He writes full-time and lives in Woodland Hills. This piece was written for Steinbeck Now. It is being published here with the author’s permission.